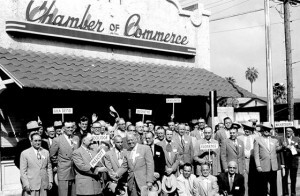 For more than 125 years, the Greater Phoenix Chamber has evolved to meet the needs of the business community. 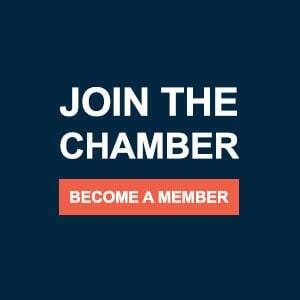 Today, the Chamber is a strong pillar of the Greater Phoenix region. In 1889, the state capitol moved from Prescott to Phoenix. Even as a young organization, the Greater Phoenix Chamber showed tremendous influence and power to raise needed funds for a worthy cause. The Chamber successfully raised $3,000 (equivalent to $78,947 today) for the purchase of a plot of ground that is now the historic Phoenix Indian School. This entrepreneurial group of business and professional leaders was perhaps the greatest factor in determining the location of the Arizona Territorial Capital in Phoenix. It was logical that the Capital should be located in a town where there was promise and people had the vision and energy to behold this promise. This time also marked the beginning of the area’s citrus and agriculture industry. The Chamber began the processing of fruits and other products to offer a permanent display for visitors as proof of what the land could produce. If agriculture were to be a permanent success of the area, water storage to carry over during the summer months was crucial. A Chamber committee studied the possibilities of building dams on the Salt River to form reservoirs for water storage, and agreed unanimously upon the present site of the Roosevelt Dam. It was through the combined efforts of these businessmen and pioneer farmers that Congress was convinced to bring into effect the plan of Reclamation to capture and hold precious water from the Colorado River. The hauling of crops to market, along with the rapidly growing change in transportation from horse-drawn vehicles to motor travel, created an insistent urge for a paved highway system. That development birthed an expansion of the urban area, building of fine country homes, subdivisions, more schools, more people and more wealth. In addition, Maricopa County became the leader, not only in Arizona but throughout the nation, in building paved highways. The ease and comfort of traveling over paved highways brought more fine hotels, guest ranches on the city’s outskirts, and an awakened consciousness to the possibilities of selling the climate to people who lived in less favorable parts of the country. This, in turn, led to the development of the National Advertising Campaign, sponsored by the Chamber and supported jointly by Maricopa County and the City of Phoenix. Arizona became the 48th state on Feb. 14, 1912. After World War II, the area’s growth spurt began and returning soldiers flocked to the area for its great weather and employment opportunities. The Greater Phoenix Chamber saw a tremendous opportunity to promote Arizona as not only a fun-in-the-sun vacation destination, but an affordable place to work and raise a family. Today the Valley is home to more than four million people. The Greater Phoenix Chamber is the largest association of businesses in the state of Arizona, and one of the largest in the Southwestern United States, with more than 2,400 business members. In 2015, the Chamber launched Phoenix Forward, a collaborative and strategic approach to economic development. In partnership with the Arizona Commerce Authority, the City of Phoenix and Maricopa County, this innovative program connects with and supports local businesses in targeted industry sectors that are poised for growth. The Greater Phoenix Chamber —like the Valley of the Sun—has come a long way.